When the Arizona Coyotes arrived from Winnipeg in 1996, hockey was a niche sport played by a couple thousand players at the state's three ice rinks. With the help of the Coyotes and a big boost from Auston Matthews' rise to stardom, hockey is blooming in the desert as Arizona has become one of the fastest-growing hockey markets among states with NHL teams. "It's a really fun sport to play and people are seeing it as a new option for them," Coyotes director of hockey development Matt Shott said. "You show and give hockey as an option to people and make it accessible to anybody, people start choosing it." In 1996, Arizona had a little over 2,100 registered youth and adult hockey players. The state had three ice rinks: two in Phoenix, one in Flagstaff. Hockey had a hard time gaining traction in the early days of the then-Phoenix Coyotes and dipped when the NHL ran the franchise for four years after the former owner filed for bankruptcy protection. Hockey has been heating up lately. Over the past five years, total hockey registration has increased 109 per cent to more than 8,600 players, making Arizona the No. 1 state for growth in the NHL. Arizona is third for youth hockey growth over the past five years at 88 per cent — to 4,500 players — and is No. 1 in girls' hockey growth, up 152 per cent to nearly 800 players. Tucson, home of the Coyotes' AHL affiliate the Roadrunners since 2016, has seen a 296 per cent growth in the last year alone. The number of ice rinks also has increased to nine statewide. "I think if you ask people which team was seeing significant increases and which team was toward the bottom, for a whole host of reasons you probably wouldn't think we're at the top, but we are," Coyotes president and CEO Ahron Cohen said. "It's really an amazing story and a testament to a lot of hard work by a lot of different people associated with this team and in this state." Arizona's demographics have helped with hockey's rise. The state is filled with transplants, many of whom come from northern states or Canada who play hockey themselves or get their kids involved in the sport. The Coyotes have given the sport a huge boost. The franchise has donated more than 2,100 sets of hockey equipment to youth, adult, special needs and sled hockey programs the past five years. The Coyotes have donated $300,000 US to local rinks to improve facilities and donated more than 12,000 jerseys to programs across the state. The franchise also has committed $450,000 to the Coyotes High School Hockey League over the next two years, provided equipment and curriculum for street hockey in schools, and built four DEK hockey rinks in the state. "We view this as a community asset. That's my vision for leadership of this team," Cohen said. "Obviously, we're trying to do great things, it's a business and everything, but at the end of the day what separates us from a lot of other businesses out there is every fan in our state and really throughout the whole world is a stakeholder in our organization. It's our responsibility to be involved and grow the game at the youth level." With the increase in participation has come a rise in talent, both among the players and the coaches teaching them. Arizona is home to several retired NHL players, many of whom help coach their kids' teams, including Shane Doan, Ray Whitney, Derek Morris and Keith Carney. Local coaches have also worked on their coaching chops to keep up with the increasing talent on the ice. Arizona teams have started becoming a factor on a national scale, including the under-15 Phoenix Junior Coyotes, who took third at the 2018 national championships. More players from Arizona are being selected in the NHL draft, often in the top three rounds, not just the lower rounds. Matthews became the first Arizona player to be selected with the No. 1 overall pick in the NHL draft and the first American to go at the top spot since Patrick Kane in 2007. 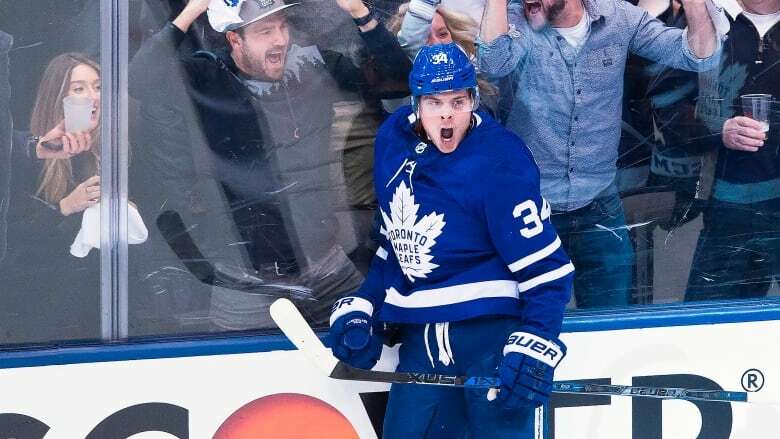 Matthews has lived up to expectations so far in his short career, becoming one of the NHL's best players. His rise from Arizona grassroots hockey put a spotlight on Arizona as a hockey hub and gave players in the Grand Canyon State tangible proof that it is possible to reach the highest level of the sport. Arizona-born Olympic silver medallist Lyndsey Fry has had a similar impact on girls' hockey in the state. "It shows that we have kids who want to play hockey, who can play hockey and can make an impact on hockey," Shott said. "It's not just some fourth-line scrub. It's a top-line player in the hockey mecca." Hockey's blooming popularity in Arizona could lead to more players like Matthews making a name for themselves.